The Belgian Beer Showcase was nowhere to be for someone watching his or her waistline. Not only was there beer – endless, golden, carb-heavy, delicious beer. But the Biercraft Bistro on Cambie kept us going with a ruinous supply of extremely tasty beef stew as well as frites in the Belgian version of poutine (with blue cheese). 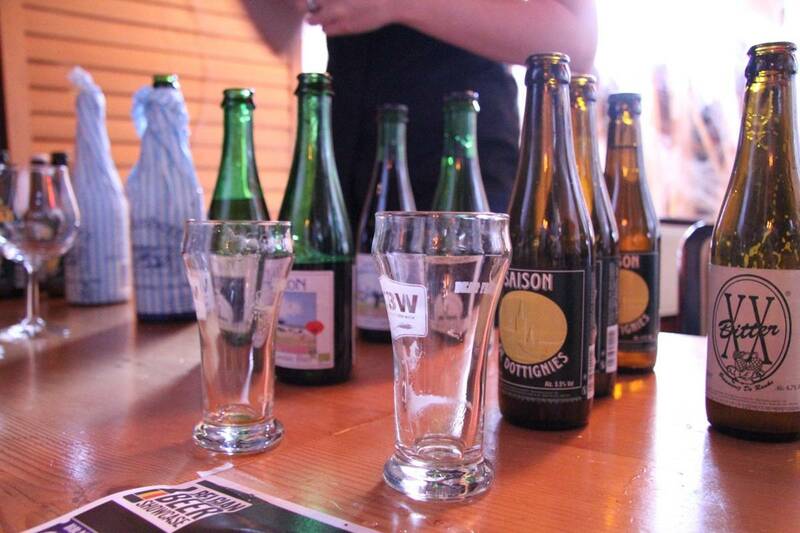 As for the beer, well, this event on the fourth night of the second annual Vancouver Craft Beer Week was heaven for a fan of the Belgians. 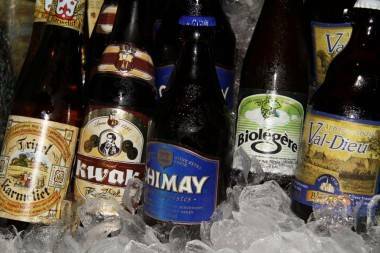 If you’re new to these intimidating imports, one thing to keep in mind is that, in general, Belgian beer is a) very flavourful and personality-driven (if such a term may be used to describe suds) b) sometimes made by monks and c) can also be very strong. It’s a good idea to leave the car keys at home if you’re going to be faced with a bottomless glass of Gulden Draak or Chimay Blue – which was the circumstance in which we found ourselves Monday night. The bistro was already full and buzzing when we arrived. 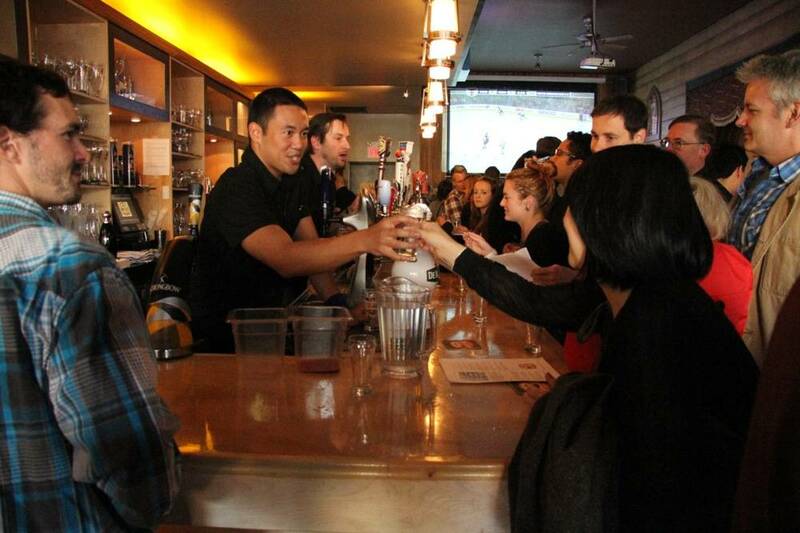 A screen was showing the playoff game – the Vancouver Canucks would go on to win against Nashville, although everyone seemed more concerned with what would be going into their next glass – while people crowded the bar, where a selection of on-tap Belgian beer was flowing. In the restaurant portion of BierCraft, two stations added to the beer-drinking experience. One of these boasted a mouth-watering selection of bottled beer (including the aforementioned Gulden Draak and Chimay Blue) in a cooler that, in its selection of big bottles of Belgian ale, looked like something a craft beer fan can only dream of coming across at a summer barbecue (where, invariably, coolers rarely aspire to anything more high-falutin’ than PBR – at least the barbecues I’m invited to!). The other table had a smaller selection, including two Cantillon lambics, including a gueuze (blend) and kriek (cherry), both dry and cider-y, and a bitter (described as a Belgian IPA) called De Ranke. The event was invaluable in getting to know the Belgians which, to be fair, can be a little snobbish themselves – you have to approach them, they’re not going to come to you. While there were more familiar (to this imbiber) names such as the always-reliable (for a quick buzz) Delirium Tremens, there were also plenty of brews I hadn’t tried. And with a full range of beer to sample it was easier to get a handle on, say, the type of beer known as a “brune” – so-called, perhaps, because it has a very strong nut-brown chocolate-y flavour. 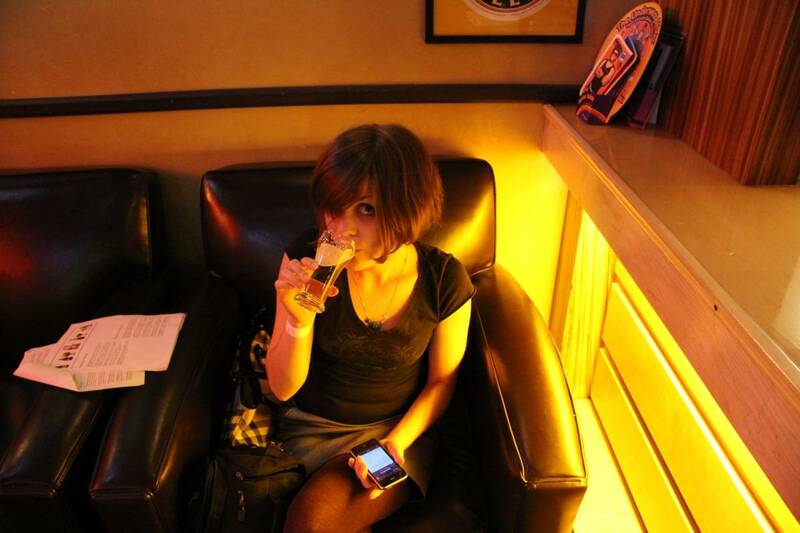 Myself, I was tending towards the light, more wheat-y ales, like the Biolegere, by the end of the night. I was also tending towards slurring my words, which is another lesson that never gets old with the Belgians; drink slowly, and in moderation. Delirium Tremens isn’t represented by a pink elephant for no reason. 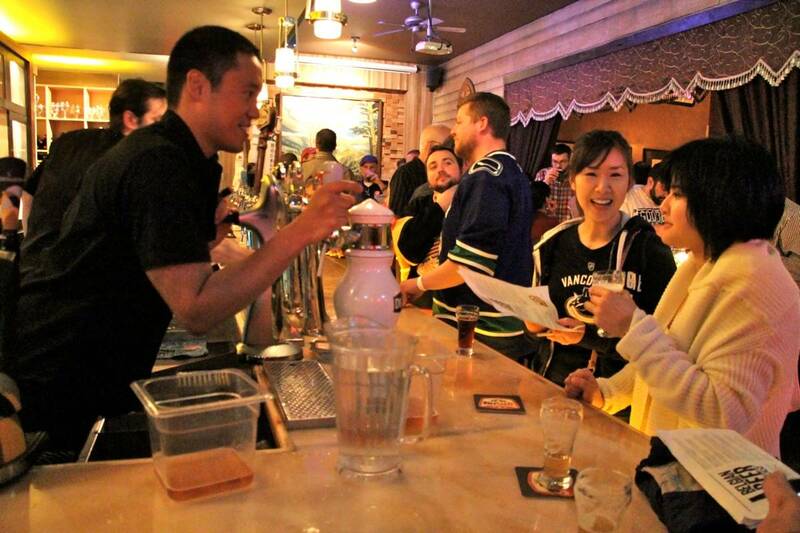 Vancouver Craft Beer Week continues until May 14. 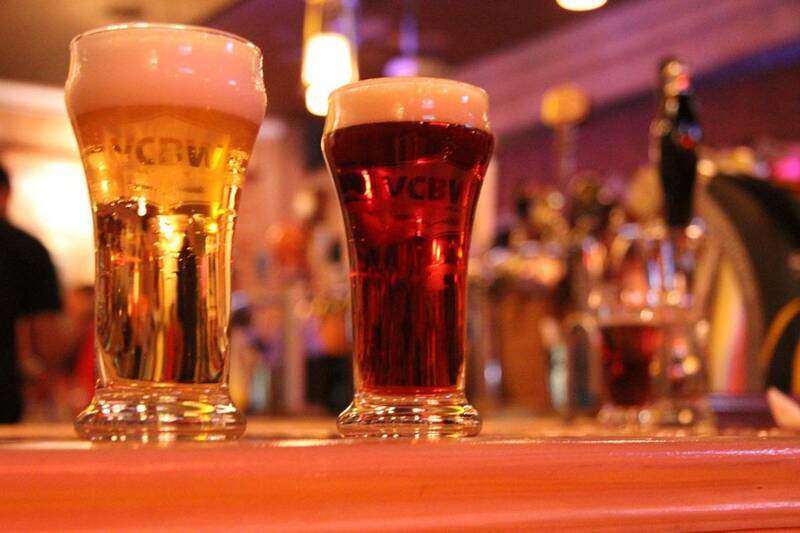 Visit the VCBW website for more info on events and tickets. This entry was posted in dining and drinking, Games, Homepage Features and tagged events, Vancouver. Bookmark the permalink.